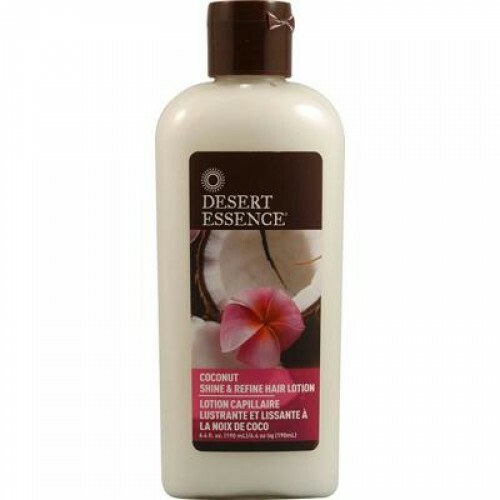 Go natural with Desert Essence Desert Coconut Shine Refine (1x6.4 OZ). NEW! Bring out hair?s natural beauty and texture as your nourish it. Avena Strigosa Seed Extract (black oat), blended with Coconut Oil and Extract, moisturizes and helps repair damaged hair. Yucca Cactus and Aloe add volume and shine. Oleic acid-rich safflower oil and Panthenol quickly penetrate and smooth, without weighing hair down. .